Shana L Mclaughlin, D.C., is a chiropractor located in Grand Rapids, MI. Techniques: • Hole in One • Kale • Toggle Recoil • Upper Cervical Take the next step and contact Dr. Shana L Mclaughlin, D.C., for a consultation in Grand Rapids, MI or to get more information. Jack Barton, D.C., is a chiropractor located in Grand Rapids, MI. Techniques: • Diversified • Cox • Gonstead Take the next step and contact Dr. Jack Barton, D.C., for a consultation in Grand Rapids, MI or to get more information. Jo Anne Sillman, D.C., is a chiropractor located in Grand Rapids, MI. Take the next step and contact Dr. Jo Anne Sillman, D.C., for a consultation in Grand Rapids, MI or to get more information. Grant Buck, D.C., is a chiropractor located in Grand Rapids, MI. Techniques: • Diversified • Gonstead • Activator Methods Take the next step and contact Dr. Grant Buck, D.C., for a consultation in Grand Rapids, MI or to get more information. Eugene E Curtiss, D.C., is a chiropractor located in Grand Rapids, MI. Techniques: • Pierce • Grostic • Bio-Energetic Synchronization Technique • Palmer Package • Upper Cervical • Activator Methods Take the next step and contact Dr. Eugene E Curtiss, D.C., for a consultation in Grand Rapids, MI or to get more information. Kim A Johnston, D.C., is a chiropractor located in Grand Rapids, MI. Techniques: • Diversified • Cox Take the next step and contact Dr. Kim A Johnston, D.C., for a consultation in Grand Rapids, MI or to get more information. Wayne M Dekker, D.C., is a chiropractor located in Grand Rapids, MI. Techniques: • Logan Basic • Hole in One Take the next step and contact Dr. Wayne M Dekker, D.C., for a consultation in Grand Rapids, MI or to get more information. Linda Soper, D.C., is a chiropractor located in Grand Rapids, MI. Techniques: • Sacro Occipital Technique • Nimmo Take the next step and contact Dr. Linda Soper, D.C., for a consultation in Grand Rapids, MI or to get more information. Adrian J Denboer, D.C., is a chiropractor located in Grand Rapids, MI. Techniques: • Diversified • Cox Take the next step and contact Dr. Adrian J Denboer, D.C., for a consultation in Grand Rapids, MI or to get more information. William J Marculis, D.C., is a chiropractor located in Grand Rapids, MI. Techniques: • Diversified Take the next step and contact Dr. William J Marculis, D.C., for a consultation in Grand Rapids, MI or to get more information. Linda Kunce, D.C., is a chiropractor located in Grand Rapids, MI. Techniques: • Diversified • Activator Methods • Sacro Occipital Technique Take the next step and contact Dr. Linda Kunce, D.C., for a consultation in Grand Rapids, MI or to get more information. James A Farmer, D.C., is a chiropractor located in Grand Rapids, MI. Techniques: • Diversified Take the next step and contact Dr. James A Farmer, D.C., for a consultation in Grand Rapids, MI or to get more information. James M Elliott, D.C., is a chiropractor located in Grand Rapids, MI. Techniques: • Gonstead • Diversified • Cox • Sacro Occipital Technique • Activator Methods Take the next step and contact Dr. James M Elliott, D.C., for a consultation in Grand Rapids, MI or to get more information. Cedric L Pierson, D.C., is a chiropractor located in Grand Rapids, MI. Techniques: • Spears Technique Take the next step and contact Dr. Cedric L Pierson, D.C., for a consultation in Grand Rapids, MI or to get more information. Thomas R Bastien, D.C., is a chiropractor located in Grand Rapids, MI. Techniques: • Grostic Take the next step and contact Dr. Thomas R Bastien, D.C., for a consultation in Grand Rapids, MI or to get more information. Ronald H Wilcox Jr, D.C.
Ronald H Wilcox Jr, D.C., is a chiropractor located in Grand Rapids, MI. Techniques: • Palmer Package Take the next step and contact Dr. Ronald H Wilcox Jr, D.C., for a consultation in Grand Rapids, MI or to get more information. Jeffrey Arntson, D.C., is a chiropractor located in Grand Rapids, MI. Techniques: • Diversified • Gonstead • Thompson • Activator Methods • Palmer Package Take the next step and contact Dr. Jeffrey Arntson, D.C., for a consultation in Grand Rapids, MI or to get more information. Bruce Van Kerschayer, D.C., is a chiropractor located in Grand Rapids, MI. Techniques: • Activator Methods • Flexion-Distraction • Thompson Take the next step and contact Dr. Bruce Van Kerschayer, D.C., for a consultation in Grand Rapids, MI or to get more information. Kris A Moore, D.C., is a chiropractor located in Grand Rapids, MI. Take the next step and contact Dr. Kris A Moore, D.C., for a consultation in Grand Rapids, MI or to get more information. Terrance M Lambert, D.C., is a chiropractor located in Grand Rapids, MI. Techniques: • Palmer Package • Diversified • Gonstead Take the next step and contact Dr. Terrance M Lambert, D.C., for a consultation in Grand Rapids, MI or to get more information. Kathryn Kilpatrick, D.C., is a chiropractor located in Grand Rapids, MI. Techniques: • Activator Methods • Diversified • Manual Adjusting • Thompson • Traction • Trigger Point Therapy Take the next step and contact Dr. Kathryn Kilpatrick, D.C., for a consultation in Grand Rapids, MI or to get more information. Brian Mikula, D.C., is a chiropractor located in Grand Rapids, MI. Take the next step and contact Dr. Brian Mikula, D.C., for a consultation in Grand Rapids, MI or to get more information. Winchi Fan, D.C., is a chiropractor located in Grand Rapids, MI. Take the next step and contact Dr. Winchi Fan, D.C., for a consultation in Grand Rapids, MI or to get more information. Tanya M Sief-Prokop, D.C., is a chiropractor located in Grand Rapids, MI. Take the next step and contact Dr. Tanya M Sief-Prokop, D.C., for a consultation in Grand Rapids, MI or to get more information. Daniel G VanGessel, D.C., is a chiropractor located in Grand Rapids, MI. Techniques: • Applied Spinal Biomechanics Engineering • Activator Methods • Diversified • Gonstead • Thompson • Cox Take the next step and contact Dr. Daniel G VanGessel, D.C., for a consultation in Grand Rapids, MI or to get more information. 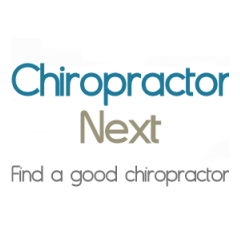 Chris J Wright, D.C., is a chiropractor located in Grand Rapids, MI. Techniques: • Activator Methods • Gonstead • Diversified • Flexion-Distraction • Palmer Package • Thompson Take the next step and contact Dr. Chris J Wright, D.C., for a consultation in Grand Rapids, MI or to get more information. Gerard Farage, D.C., is a chiropractor located in Grand Rapids, MI. Take the next step and contact Dr. Gerard Farage, D.C., for a consultation in Grand Rapids, MI or to get more information. Ardis Schulte, D.C., is a chiropractor located in Grand Rapids, MI. Techniques: • Thompson • Gonstead • Diversified • Activator Methods Take the next step and contact Dr. Ardis Schulte, D.C., for a consultation in Grand Rapids, MI or to get more information. David K Harrison, D.C., is a chiropractor located in Grand Rapids, MI. Techniques: • Diversified • Palmer Package • Cox Take the next step and contact Dr. David K Harrison, D.C., for a consultation in Grand Rapids, MI or to get more information. Michael Kwast, D.C., is a chiropractor located in Grand Rapids, MI. Take the next step and contact Dr. Michael Kwast, D.C., for a consultation in Grand Rapids, MI or to get more information. Kerry T Kilpatrick, D.C., is a chiropractor located in Grand Rapids, MI. Techniques: • Diversified • Manual Adjusting • Gonstead • Motion Analysis (Palpation) • Thompson • Palmer Package Take the next step and contact Dr. Kerry T Kilpatrick, D.C., for a consultation in Grand Rapids, MI or to get more information. Steven W Kleiman, D.C., is a chiropractor located in Grand Rapids, MI. Techniques: • Diversified • Cox Take the next step and contact Dr. Steven W Kleiman, D.C., for a consultation in Grand Rapids, MI or to get more information. Steve DeWeese, D.C., is a chiropractor located in Wyoming, MI. Techniques: • Sacro Occipital Technique • Diversified • Gonstead • Thompson • Toggle Recoil Take the next step and contact Dr. Steve DeWeese, D.C., for a consultation in Wyoming, MI or to get more information. Marilyn Spanski, D.C., is a chiropractor located in Wyoming, MI. Techniques: • Palmer Package Take the next step and contact Dr. Marilyn Spanski, D.C., for a consultation in Wyoming, MI or to get more information. Greg Freeman, D.C., is a chiropractor located in Wyoming, MI. Take the next step and contact Dr. Greg Freeman, D.C., for a consultation in Wyoming, MI or to get more information. Guy F Dionne, D.C., is a chiropractor located in Wyoming, MI. Take the next step and contact Dr. Guy F Dionne, D.C., for a consultation in Wyoming, MI or to get more information. Kevin Bueckman, D.C., is a chiropractor located in Wyoming, MI. Techniques: • Palmer Package Take the next step and contact Dr. Kevin Bueckman, D.C., for a consultation in Wyoming, MI or to get more information. Neil Richardson, D.C., is a chiropractor located in Wyoming, MI. Techniques: • Diversified Take the next step and contact Dr. Neil Richardson, D.C., for a consultation in Wyoming, MI or to get more information. Bradley Conrad, D.C., is a chiropractor located in Wyoming, MI. Techniques: • Gonstead Take the next step and contact Dr. Bradley Conrad, D.C., for a consultation in Wyoming, MI or to get more information. Thomas Donnelly, D.C., is a chiropractor located in Wyoming, MI. Techniques: • Gonstead Take the next step and contact Dr. Thomas Donnelly, D.C., for a consultation in Wyoming, MI or to get more information. Nam H Vu, D.C., is a chiropractor located in Wyoming, MI. Techniques: • Activator Methods • Flexion-Distraction • Pettibon • Diversified • Manual Adjusting • Gonstead Take the next step and contact Dr. Nam H Vu, D.C., for a consultation in Wyoming, MI or to get more information. Gerald B Kooistra, D.C., is a chiropractor located in Wyoming, MI. Techniques: • Diversified Take the next step and contact Dr. Gerald B Kooistra, D.C., for a consultation in Wyoming, MI or to get more information. Michael Halliday, D.C., is a chiropractor located in Wyoming, MI. Techniques: • Gonstead • Diversified • Upper Cervical Take the next step and contact Dr. Michael Halliday, D.C., for a consultation in Wyoming, MI or to get more information. Linda S Bruinsma, D.C., is a chiropractor located in Wyoming, MI. Techniques: • Diversified • Palmer Package • Cox Take the next step and contact Dr. Linda S Bruinsma, D.C., for a consultation in Wyoming, MI or to get more information.